Carlton Court offers a luxurious selection of boutique serviced apartments in central London including one, two and three bedroom apartments. All of our apartments come with separate living rooms, commodious bedrooms, fully-equipped kitchen, bathrooms with power showers and direct lift access. Our apartments are perfect for long and short term stays for both leisure and business travellers, as well as, individuals relocating to London and looking for a temporary accommodation. Located centrally, our apartments are near the landmark locations of Park Lane, Piccadilly, Knightsbridge and Park Lane. By staying with Carlton Court, you can enjoy approximately 30% more space, freedom and privacy at fraction of the cost of a tiny hotel room. If you choose to stay for a long duration, you can expect a lower nightly tariff. Moreover, our beautifully furnished apartments will make you feel right at home. By renting our 2 bedroom apartments in central London, you will be able to cut down on your expenses in more than one way. Our apartments feature a kitchen with state-of-the-art appliances that will help you to save considerably on restaurant bills. Additionally, our serviced flats include high-speed Internet, maid services, free breakfast and security. We offer you all-inclusive 5-star services as you rent our apartments, unlike hotels. At Carlton Court, our apartments enjoy outstanding public transportation links. Living with us, you will be well-connected with the other parts of the city. Also, you can use our flats as your own and invite friends over for dinner. We can even make arrangements for extra beds or cots. 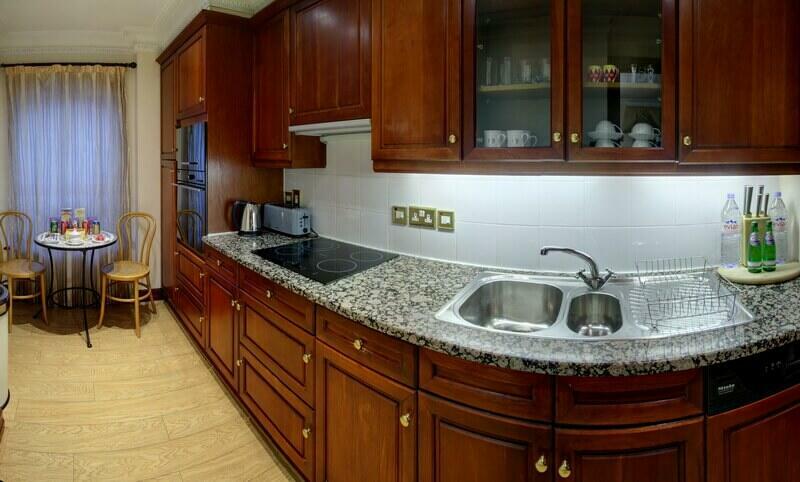 For a comfortable and unforgettable London stay, check out our serviced apartments. We have penthouse, one bedroom, 2 bedroom duplex, 2 bedroom deluxe and three bedroom apartments for you to choose from. Get in touch with our booking executive for more information on the availability and tariff details of the apartment of your choice.